Hello and welcome to this month’s newsletter; fresh from our sunny MedCity HQ, as we start to enter warmer climes here in the UK. The eagle-eyed among you may notice that we have changed our branding this month. As you’re aware, we exist to promote and grow life sciences across The Golden Triangle of Cambridge, London and Oxford, and our new logo is designed to better reflect this. I look forward to taking this with us on our upcoming visits to the US and Japan. In other news, Phil has been in Bratislava, joined by King’s College London and Imperial College London, presenting to a 200+ conference on biotech and digital health innovation. Also, Neelam attended the symposium for the launch of the NIHR Great Ormond Street Biomedical Research Centre, which was awarded £37m to drive forward translational research into rare diseases in children. She came back enthused about the plans for cell and gene therapies; genomics; and novel therapies; so watch this space! I was also thrilled to see a BIA report last week stating that the UK biotech industry received more Venture Capital than San Diego and any other country in Europe in 2016, with a total of £1.13bn raised. Despite a year of uncertainties with Brexit and the US election, this boost for the sector shows that the UK is in a strong position to close the gap on leading life sciences clusters and maintain our lead in Europe. Finally, if you are involved in raising finance, the Financial Conduct Authority would like to hear your views on the effectiveness of the UK’s primary capital markets in supporting the growth of science and technology companies – find out more here. Prof Sir Robert Lechler, Executive Director at King’s Health Partners and MedCity Board member, kicks off our new partner series. Following their annual conference this month, he gives a snapshot of their Innovation Impact Stories. Groundbreaking manufacturer of jellyfish collagen, Jellagen, opened the first-of-its-kind facility this month, with funding through Angels in MedCity. This will help them meet the needs of world-leading medical device, biotechnology and pharmaceutical companies. Leading US life sciences company, Mapi, is the latest company to join Imperial’s White City Campus, following an introduction by MedCity. Mapi has over 40 years’ experience helping patients, healthcare practitioners and regulators to make treatment decisions based on personal treatment value. We have long pushed the notion that you need to collaborate to innovate and that the delivery of patient-centred care depends on academics, healthcare and businesses working together. Sarah joined a panel looking at the opportunities for innovation in healthcare and milestones to adoption and scaling these solutions. Are you going to BIO US? Come join us and our UK friends at One Nucleus and the UK BioIndustry Association as we head over to San Diego and Los Angeles to host and participate in a number of events from 19 – 22 June. 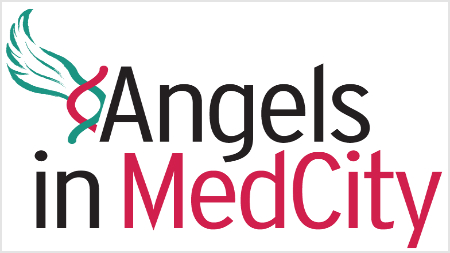 Angels in MedCity hosted their latest pitching event at The Francis Crick Institute, attended by over 150 investors and seven pitching life sciences companies. Find out about the companies looking for investment. Springboard Challenge for neurodegenerative diseases – Deadline Tomorrow! The next edition of MedCity Update will be sent in June 2017.